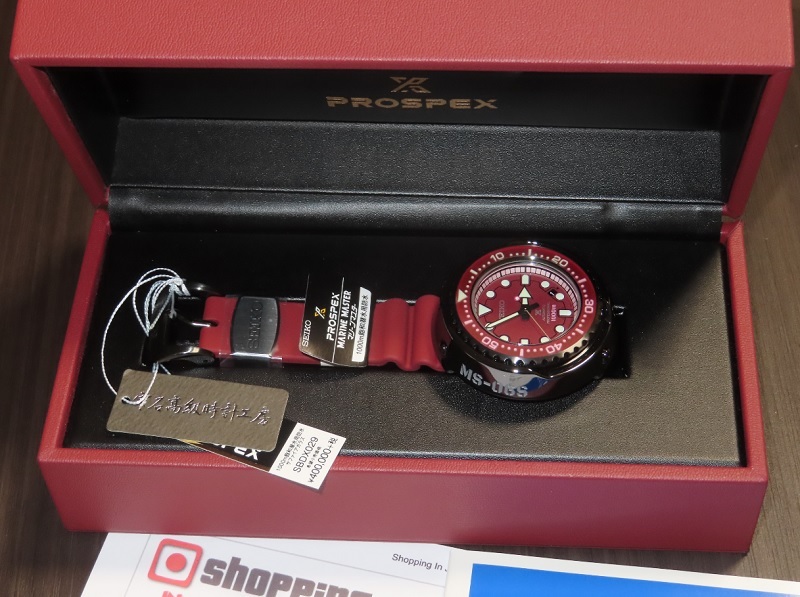 Now available from Japan on this 40th Anniversary Prospex Gundam Marinemaster SLA031J1 or known in Japan as SBDX029 Char Aznable MS-06S Zaku II Mobile Suit Red Emperor Tuna 1000 meter divers that comes with Ceramic Torso Shroud and Pure Titanium Case. 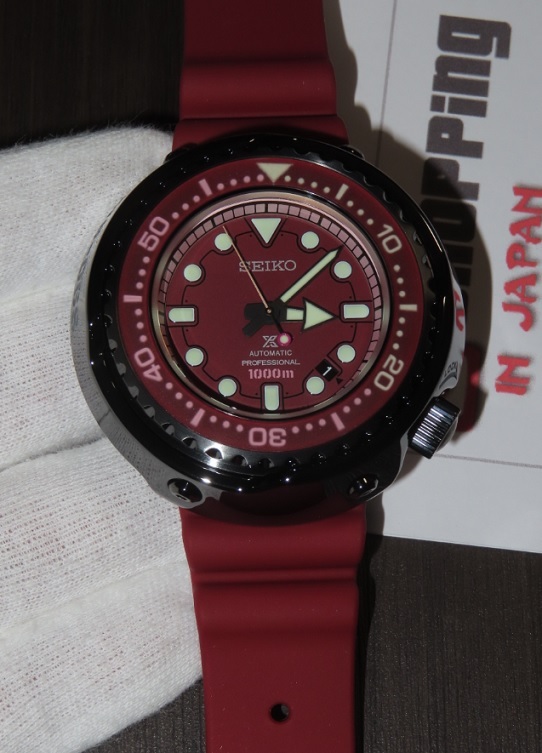 This Gundam Mobile Suit SBDX029 is a JDM (Japanese Domestic Market) watch model and it's now in our stock - ready to ship within 48 hours to any country. So buy now before it’s too late!